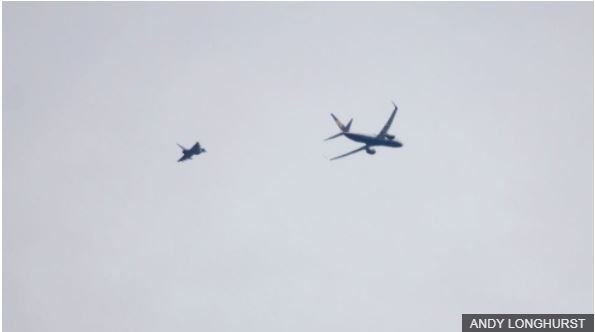 A Ryanair plane has been escorted by two RAF Typhoon fighter jets and diverted to Stansted Airport, London. The security measures were invoked after a suspected bomb-hoax. 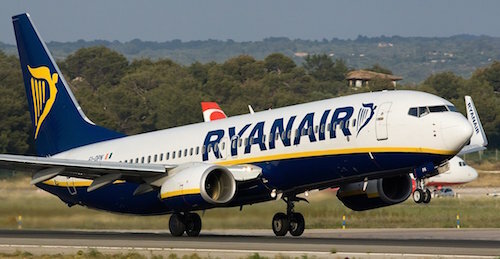 Ryanair’s Boeing 737 was escorted by two RAF jets after Lithuanian authorities received what is suspected as a ‘hoax security alert’. The plane was diverted from its Kaunas (Lithuania) – Luton (UK) route to Standsted airport (London, UK). “The take-off was postponed for an hour, however, everything seemed normal before approaching London, when we were told that we’re about to land in a different airport and ordered not to leave the plane,” a passenger told Lithuanian news portal Delfi. According to the passenger accounts, after landing they were ordered to leave their personal belongings, with the exception of cell phones, at the plane and escorted to security screening. Armed police, ambulances and fire fighter powers were called to the scene. During the security operation, other planes at Stansted airport were grounded. “This flight from Kaunas to London Luton diverted to London Stansted in line with procedures after Lithuanian authorities received a suspected hoax security alert,” a Ryanair spokesman told Independent.ie. The Essex police, which is carrying the investigation of the incident, announced on Twitter that it has now completed their enquiries after a plane was diverted to Stansted Airport and have not found anything suspicious.